Home / News / Duterte hits Church "taxation", saying his God "does not need money"
Duterte hits Church "taxation", saying his God "does not need money"
At the Asia-Pacific Healthy Islands Conference in Davao City on Wednesday, the President expressed objection to the Church’s collection of money especially amid the lingering problem of poverty. “There are two kinds of taxation here in this planet — the taxation of government and the taxation of the Church,” President Duterte said during the conference. “When they begin to ask, ‘Where’s the money of the people, guys?’ And I said, ‘It’s government’s money, it’s the people’s money.’ Then I asked the same thing, ‘What happened to the money of the people that’s been given in three tranches?’ That’s my basic objection actually. I thought that we are poor,” he added. “As many people there are here, we have our own image in our mind of what God really looks like. I think that there’s a universal mind controlling the universe. He need not be named God, but at least there is somebody higher than us, controlling the universe or otherwise with the billions and trillions of planets and stars, we would start to collide with each other,” he said. “Now the fact that Mother Earth has reached 4.5 billion years old, it seems that my God watches over us. I don’t know about the God of the others,” the president added. This comment from the president came several days after he apologized to God over his previous remarks. Duterte earlier had a dialogue with the Church leaders amid the increasing animosity between the government and clergies. The president had been the subject of Church criticism after his “stupid god” remarks. Furthermore, the president also cited how important the Asia-Pacific Healthy Islands Conference was, as it will enable countries in the Asia-Pacific to explore practical solutions to solve shared health problems and overcome common challenges in delivering essential medical services to our peoples. The chief executive likewise discussed that the Asia-Pacific countries, are facing a very complex issue when it comes to healthcare, noting that many island countries made establishing effective health systems that would be very difficult and costly. “Therefore, if we are to genuinely secure the welfare of our peoples in the region, a comprehensive and networked approach to delivering healthcare—employing the latest tools, innovations, techniques, and solutions—must be adopted,” he said. “We must harmonize our policies and strategies so we can build responsive, effective, and resilient health systems that will not only withstand disaster but also assist our neighbors in times of need,” the President further said. 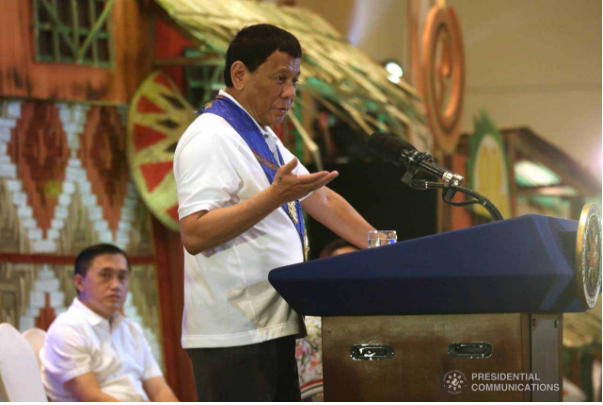 During his speech, Duterte also acknowledged the joint efforts of the Department of Health (DOH), the Department of Foreign Affairs (DFA), the Climate Change Commission, and private partners for hosting the cross-country conference.